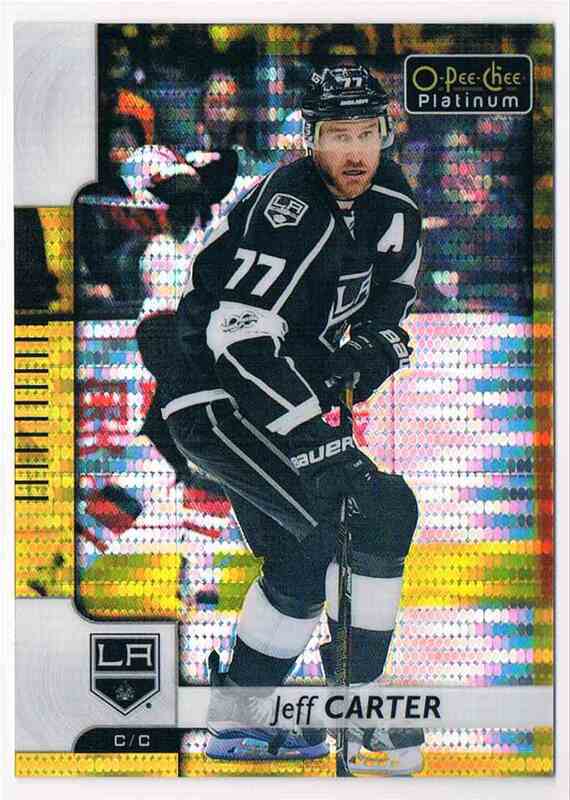 This is a Hockey trading card of Jeff Carter, Los Angeles Kings. 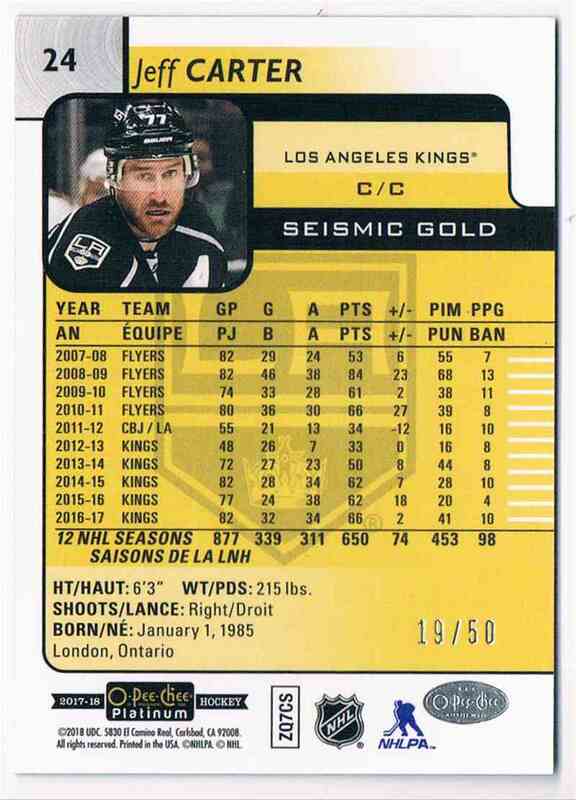 It comes from the 2017-18 O-Pee-Chee Platinum Seismic Gold set, card number 24, serial numbered 19/50. It is for sale at a price of $ 8.00.